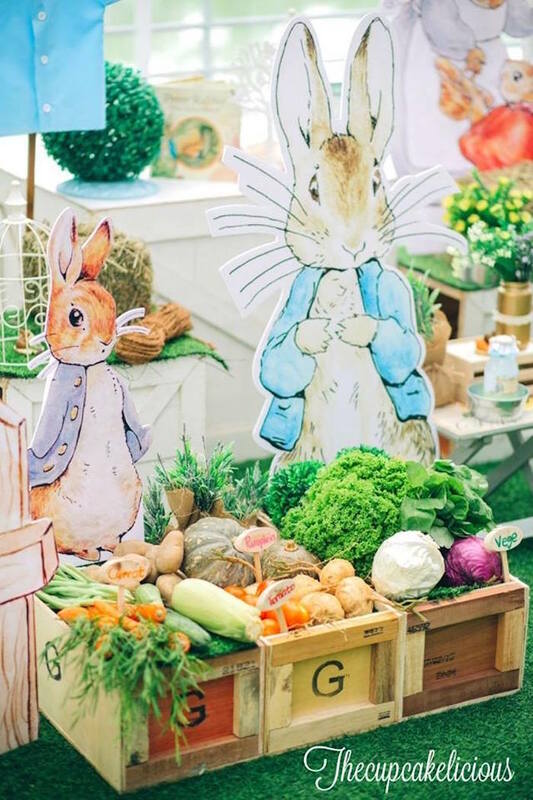 Garden parties are always so cute, but add Peter Rabbit into the mix and you’ve got one adorable event! 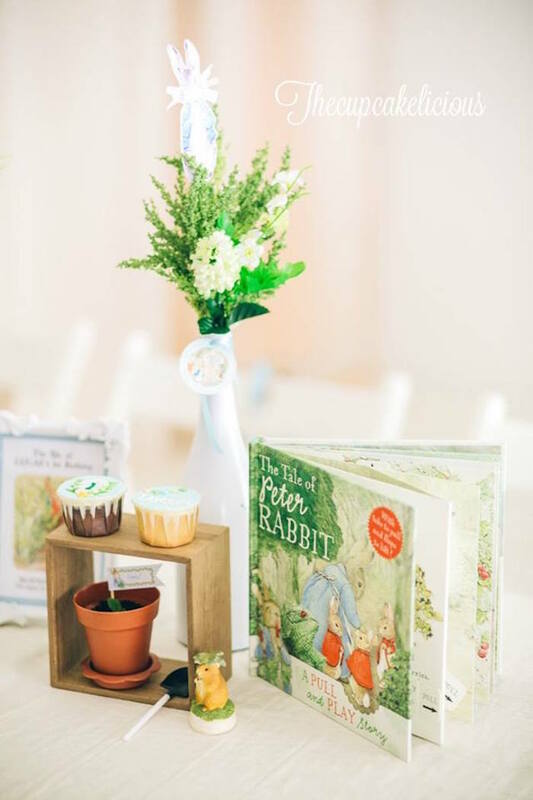 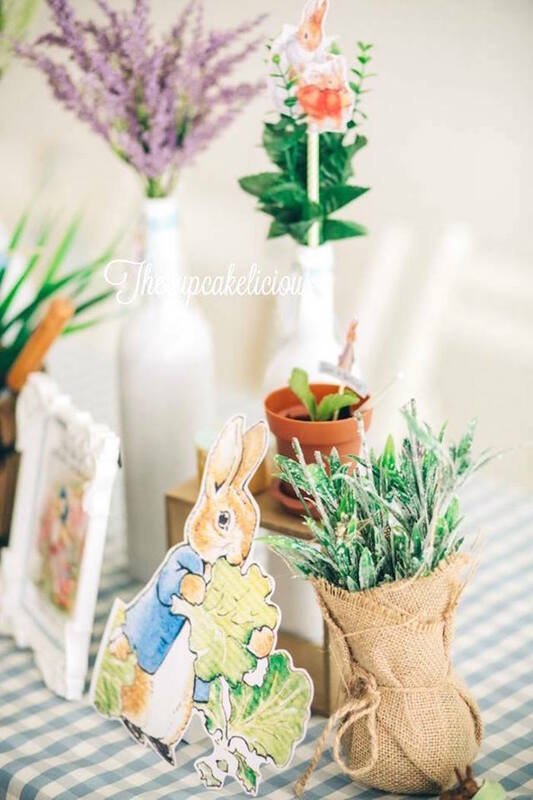 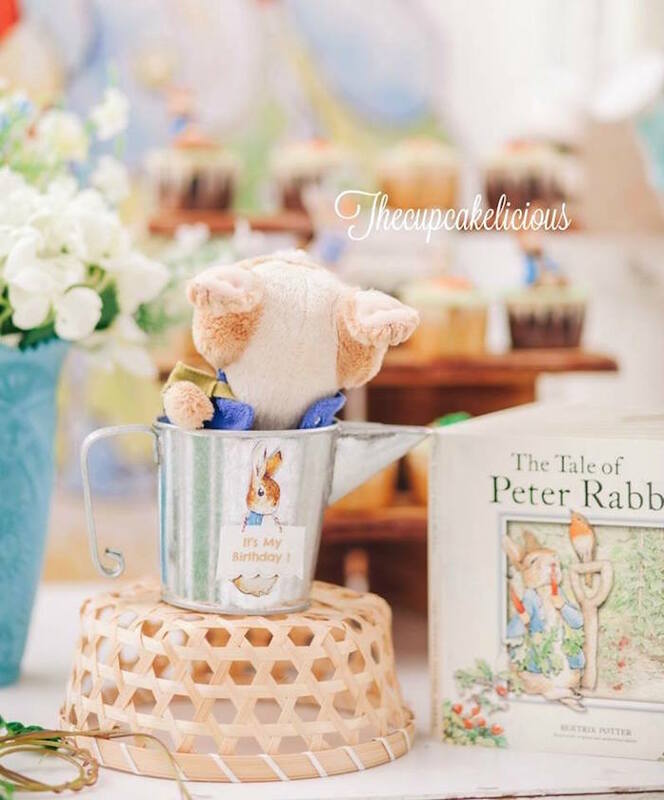 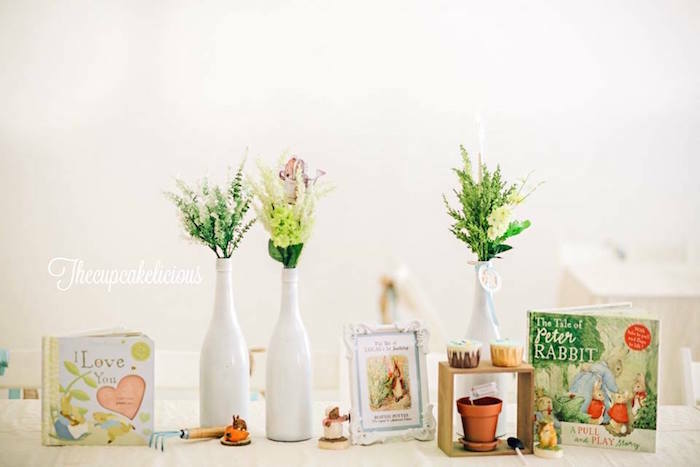 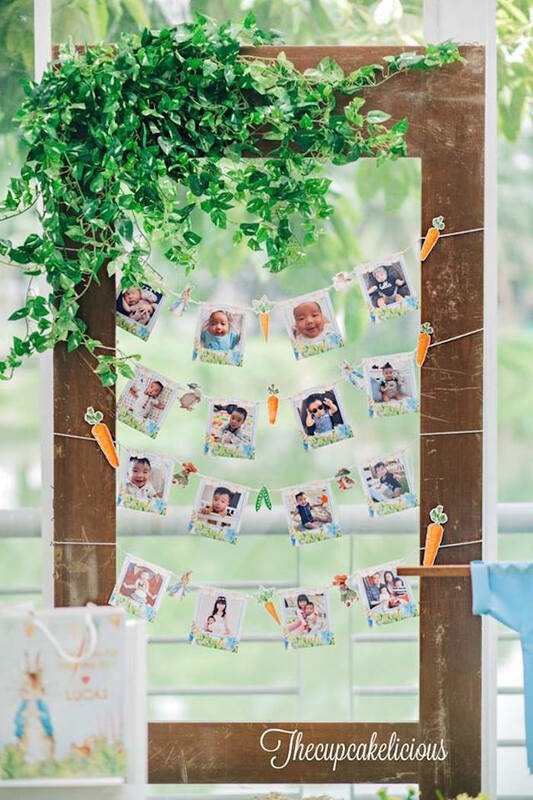 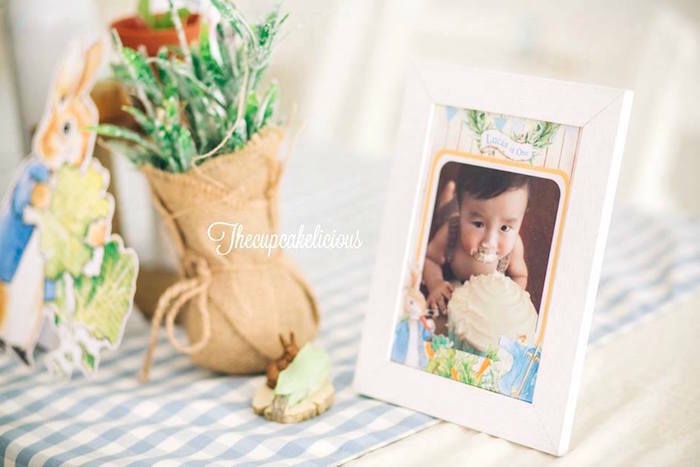 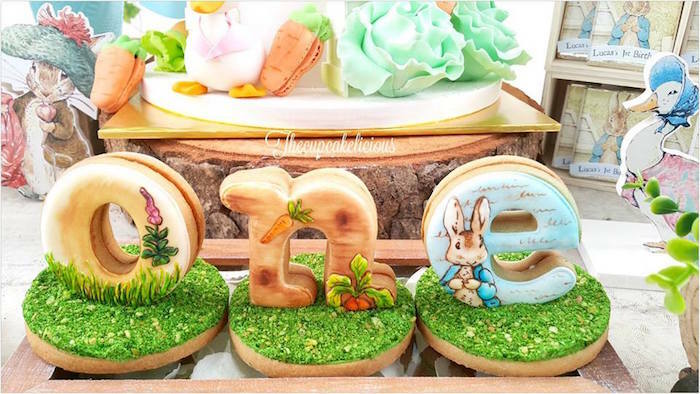 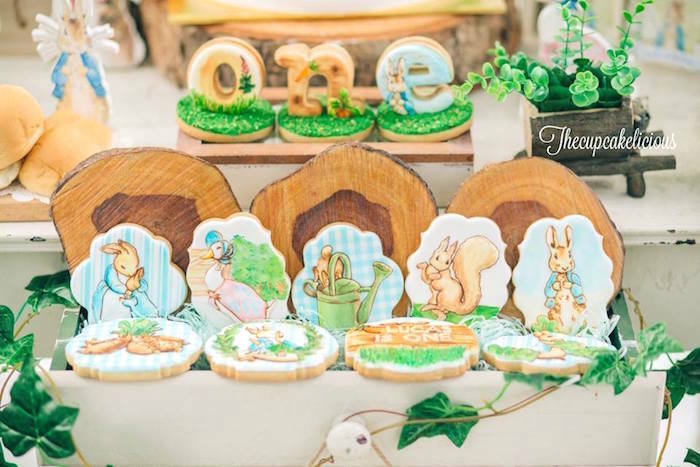 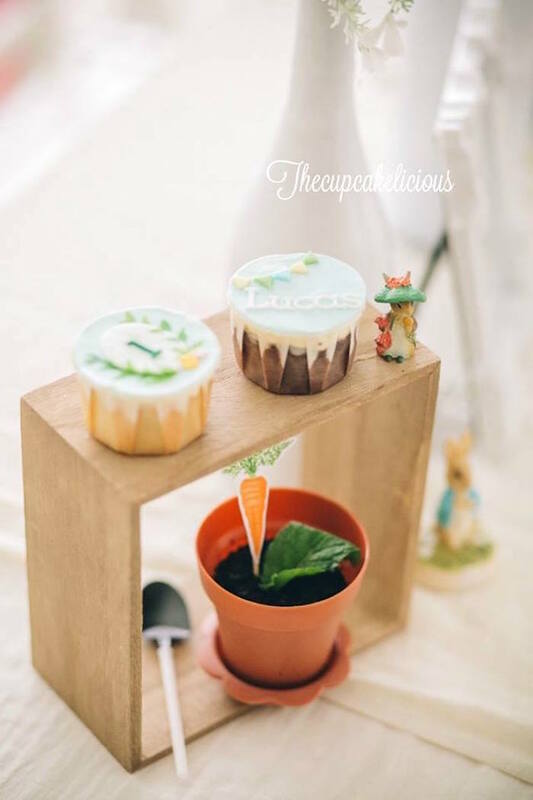 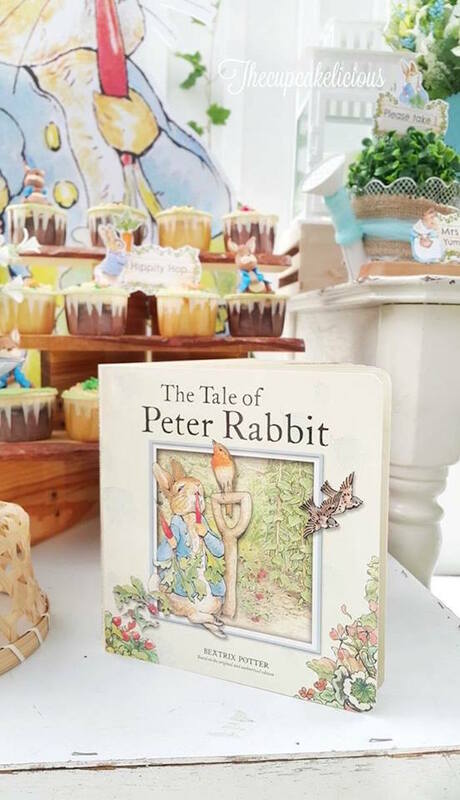 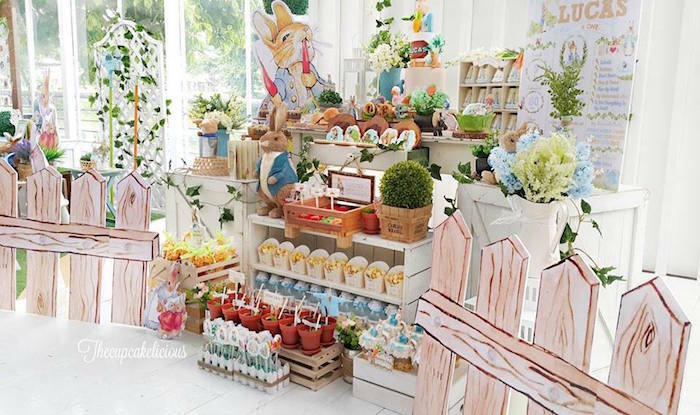 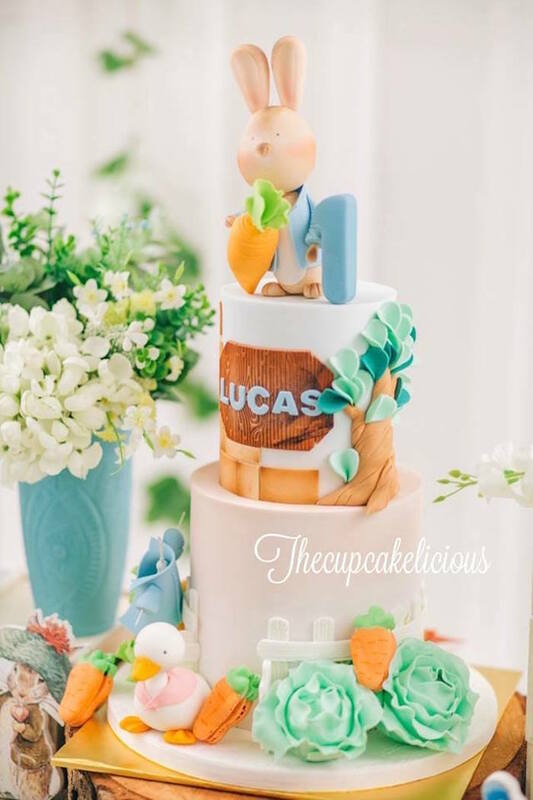 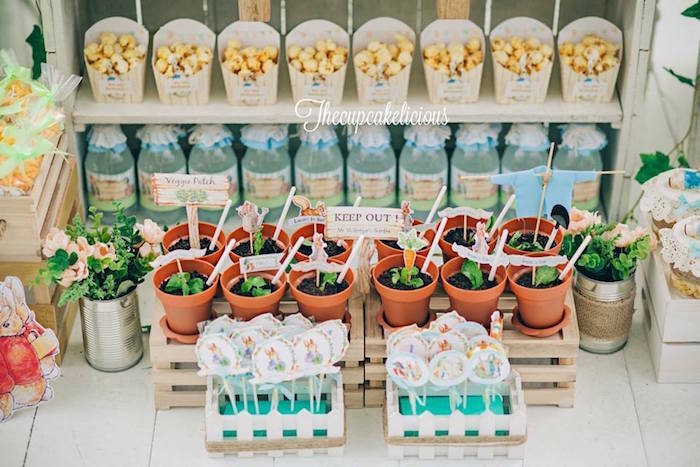 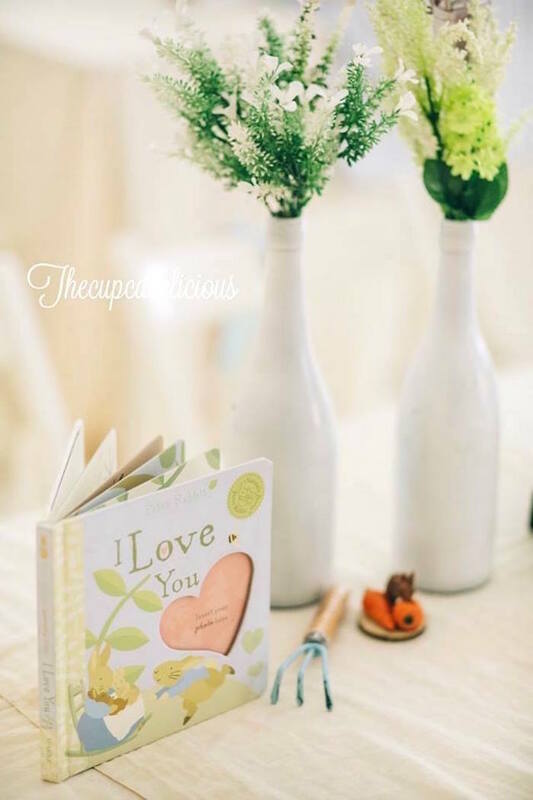 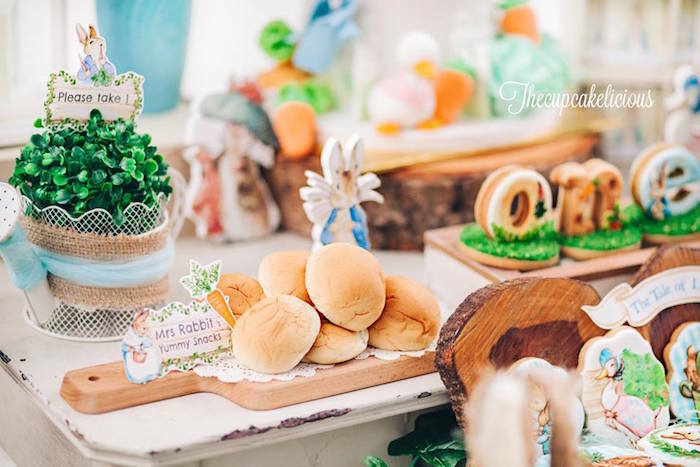 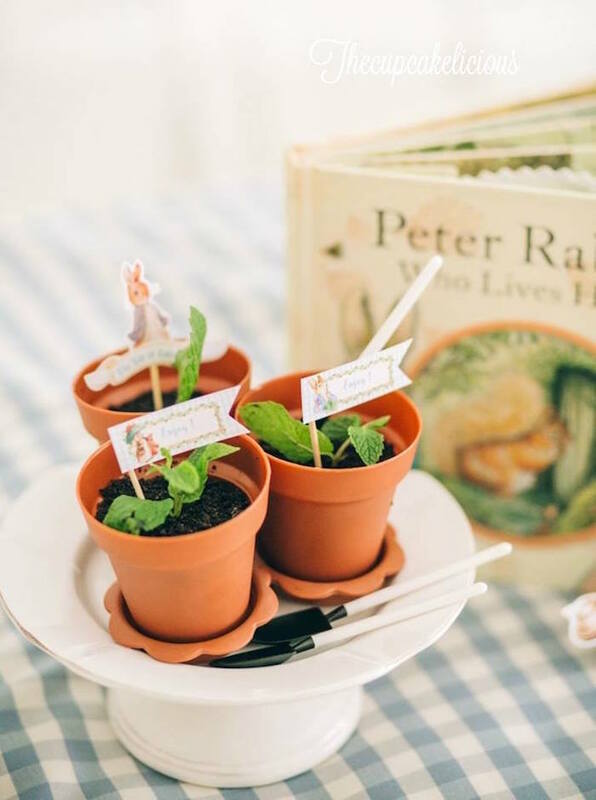 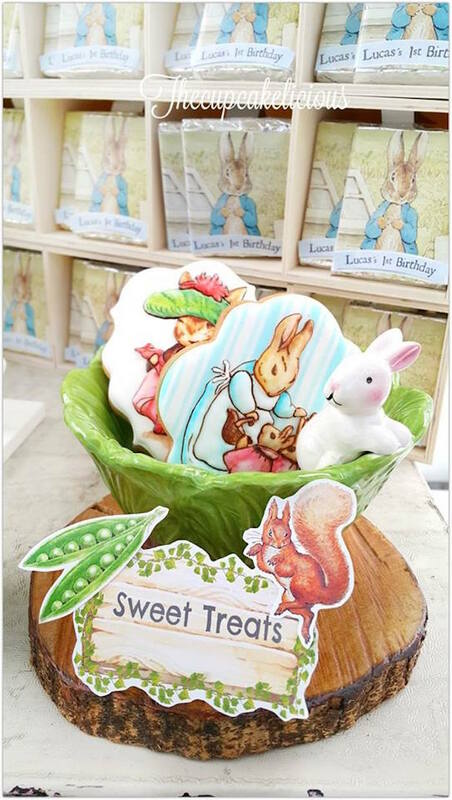 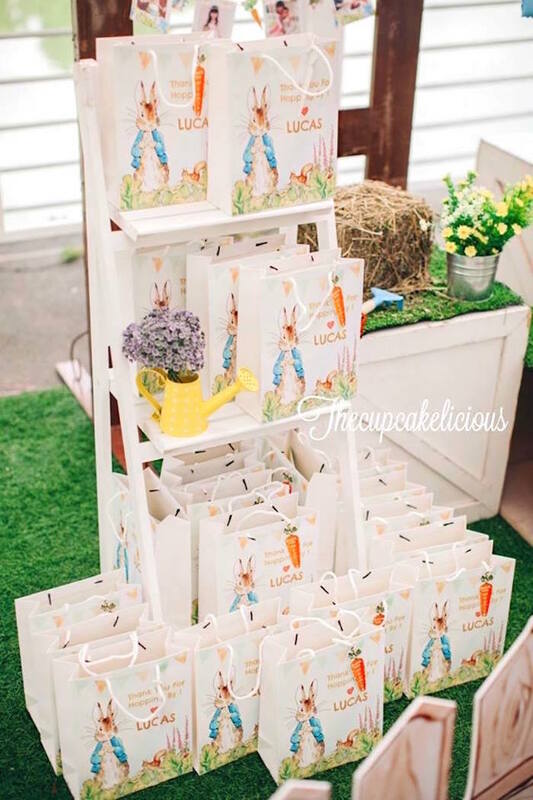 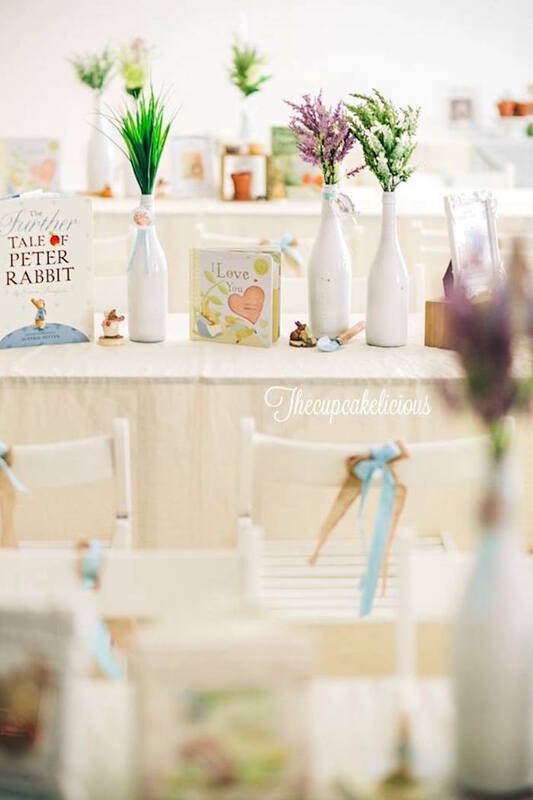 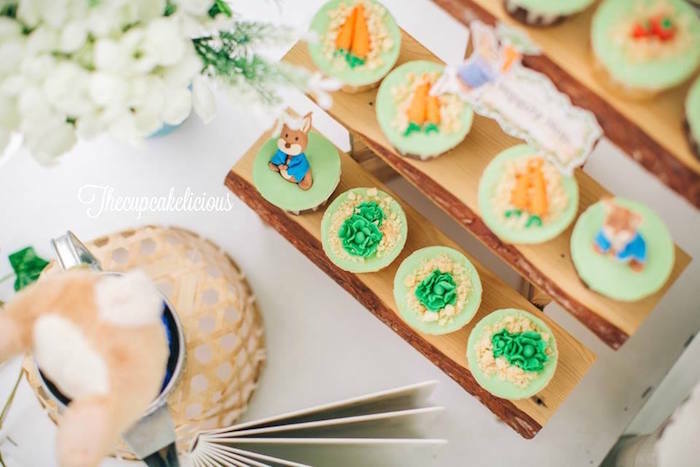 Submitted by Leni Suriyani of TheCupcakelicious, out of Kuala Lumpur, Malaysia; this darling Beatrix Potter Peter Rabbit Birthday Party, will have you swooning! 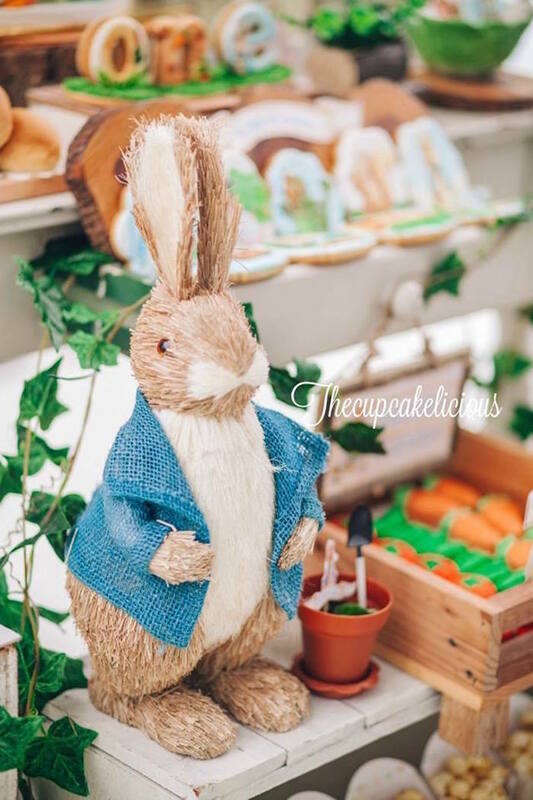 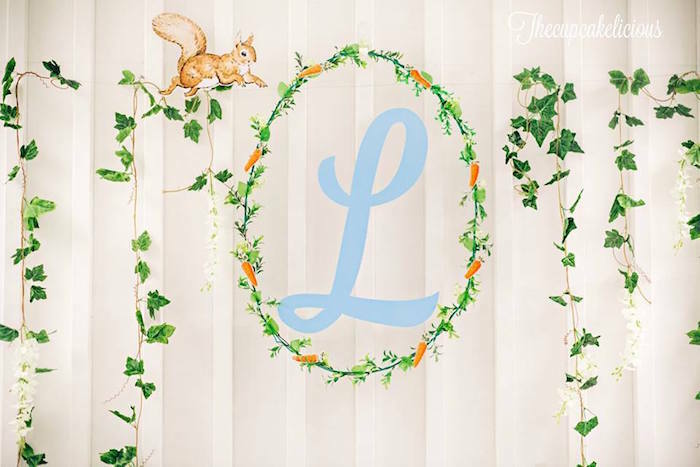 This is what Leni shared about the party- “When my client’s mummy S contacted me 5 months prior to the party, and told me she wanted something different than a normal dessert table, with more of shabby chic feel, we finally settled on the theme Beatrix Potter Peter Rabbit, for her son’s 1st birthday. 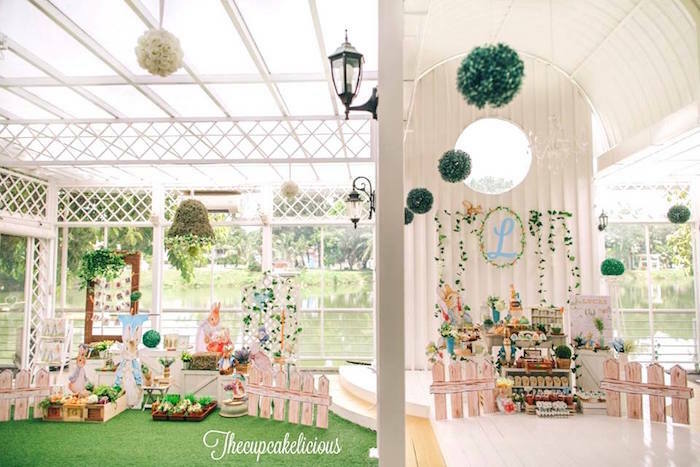 Next stage was choosing the right venue. 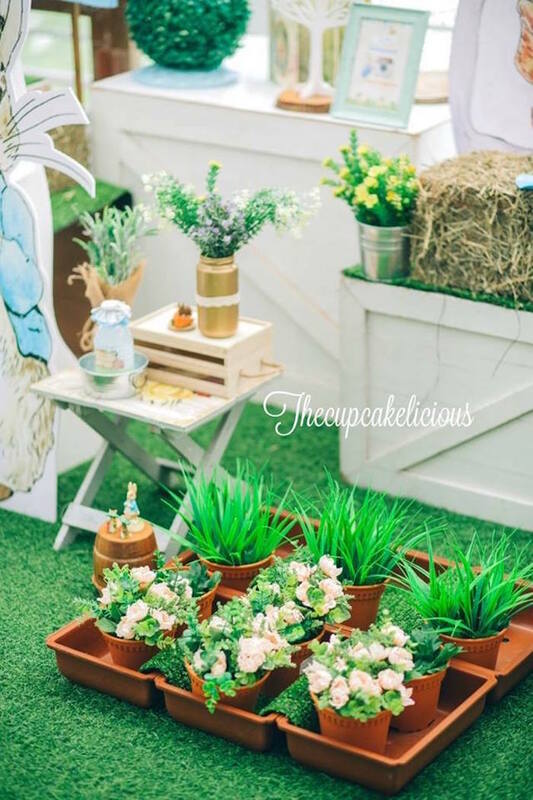 Mummy S was very much excited and into this as much as I was, and we were so happy when she finally settle and confirmed the venue at Covershots, who rent out their venue for occasions such as ROM, Weddings, Engagements and other special events. 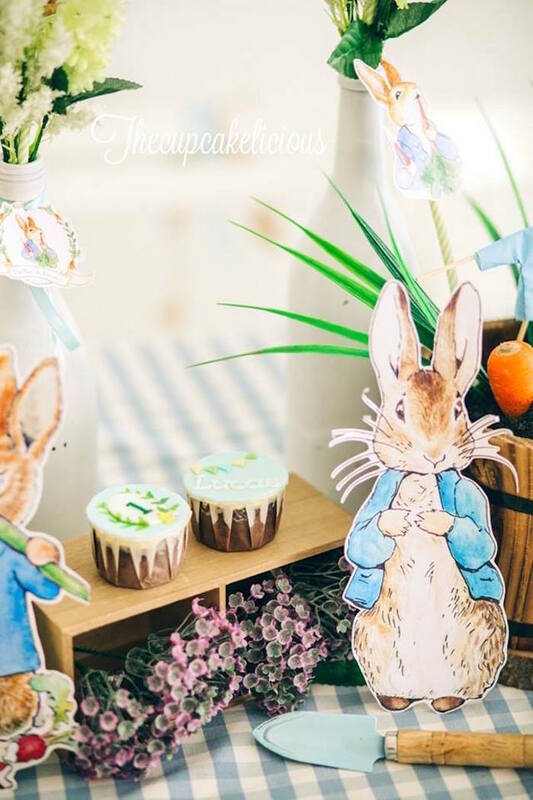 See all of the Beatrix Potter party ideas here!